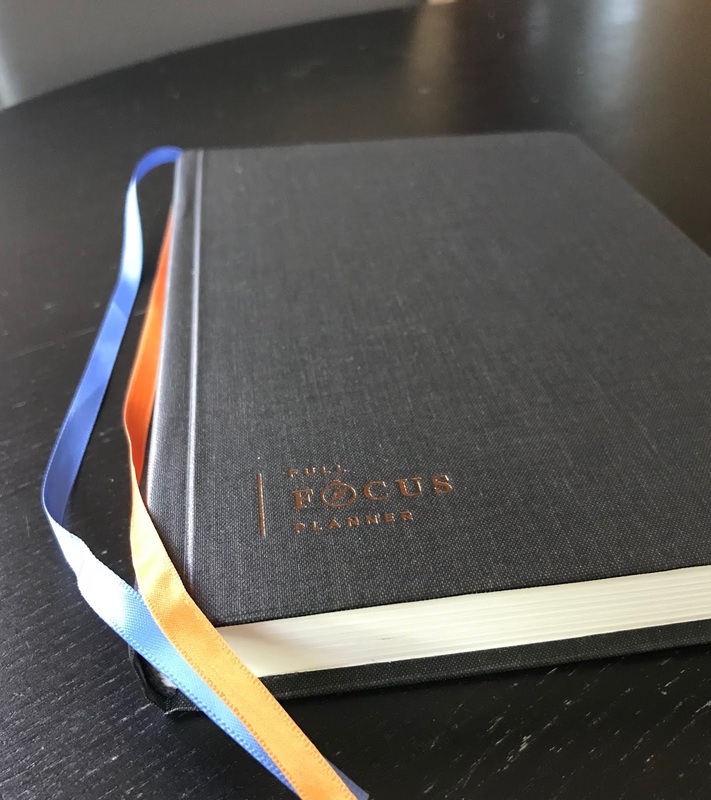 Notes: I will review approximately 8 planners in this series, some of which I purchased and others that were sent to me to review (for the podcast + blog). I will keep reviews relatively short & sweet, and will link back to all of them in a summary post! Please note that the photos appear grainy in feedly in particular; if you click on them, the full image shows and they sharpen. Hopefully this will not be a problem post-wordpress migration (currently in early stages, but happening!). We will kick week #1 off with the Full Focus Planner! This is actually an unusual case, as I purchased my own about a year ago but was sent an updated model for review. I originally ordered it because, quite honestly, Michael and his daughter Megan (who works for his company) sold it incredibly well on their podcast (Lead to Win) and as a total planner geek I was just that curious what was inside. Yes, $30 curious because I believe that was the price tag. It has since increased to $40 for a 3-month planner or $125 for 4 quarterly planner (sent in a subscription model), which is rather steep. However, I do think this is a unique product that could be worth the investment for some users. Style: Very professional, with a black cloth hardback cover and 2 ribbon bookmarks. The first edition has somewhat retro lines/typefaces, which I liked; the newer one is more modern with finer lines. It’s still nice and has an overall clean look. Quality/Durability: High. I am not worried this book would fall apart (and hey, it only needs to survive a quarter of heavy use!). The paper is smooth, cream-colored, and my pens didn’t bleed through at all! It also does not tend to smudge even with gel pens used by a left-hander (me). at least an interesting fantasy to think about! There are even pages dedicated to planning out your weekends! Every single day has its own 2-page spread, which is why this is only a planner for 3 months despite being quite sizable. 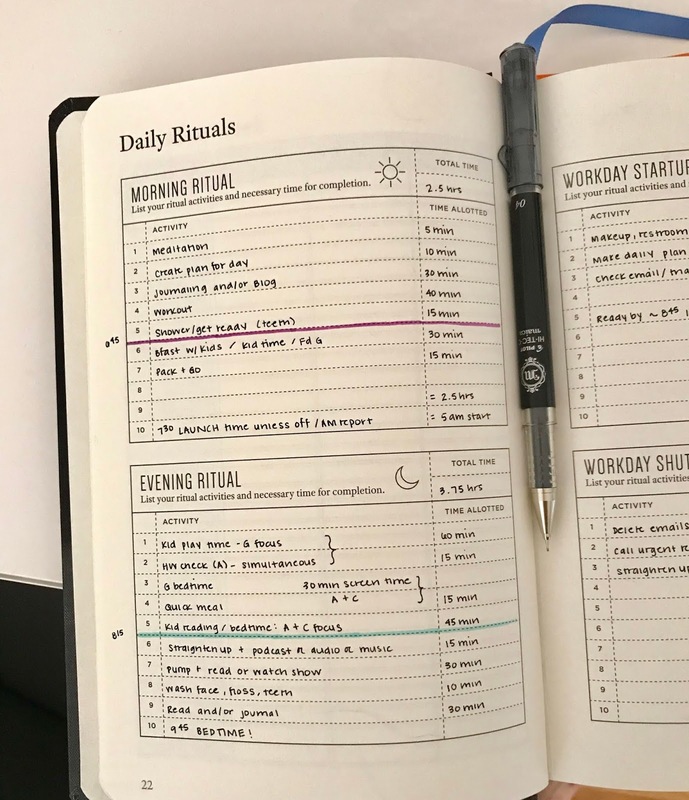 You have space for your top 3 goals, a task list, a timeline, and a whole notes page. If you have ever wanted to get into time tracking, this format would work very well. the old version . 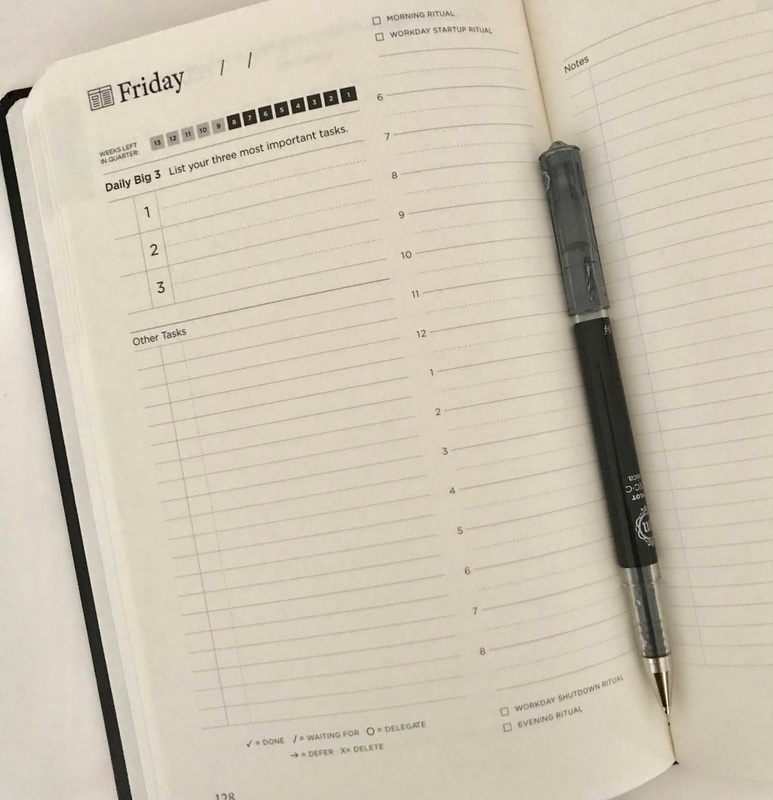 . .
– Using as a family calendar or even a personal calendar – honestly, I think I’d have to have a supplemental paper or electronic system for that. In fact, when I was using this I used my Erin Condren right along side. I could see a Hobonichi Weeks working well with it, too since it’s so streamlined. Questions? I’ll try to answer! And Planner ReviewFest will continue next Friday with a wildly different offering! Has anyone out there tried an FFP*? * Not fresh frozen plasma, medical friends – Full Focus Planner! Hi Heather! Believe it or not . . . I have that planner as they sent it to me for review last year and I honestly didn’t know what to make of it – it was a little ‘out there’ to me, so I never did a feature! If you’d like I can actually send it to you! I love this series! I”m a Hobonichi gal, but have you tried the Passion Planner? I”ve seen it on Instagram and it looks really nice. – liked the exercise of putting together goals and reviewing the past month. This is a new thing for me. – Has all sorts of extras you can download including extending the time tracking/scheduling part to 24hrs. As someone who works shift I needed something where the day didn’t stop at 10pm. – too big to carry around easily so I end up falling off the bandwagon and not using it for a few weeks before picking it back up. What a great series! I am an avid self journal user (yourbestself.com), which seems pretty similar to this one. I absolutely needed the intense goal setting while I was finishing my PhD. Right now I’m home with my daughter and searching for work/taking on freelance work*, and I find I’m totally keeping it going! 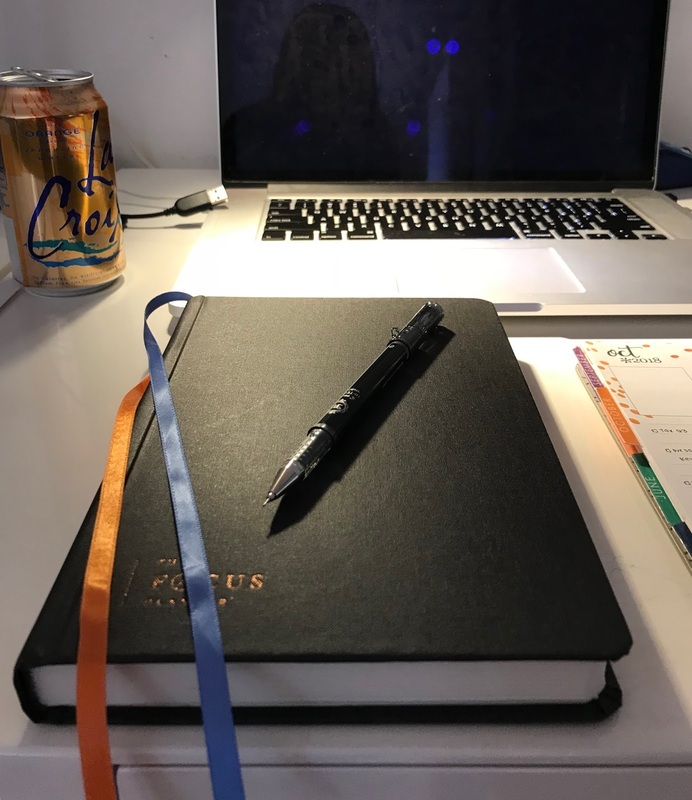 Hilarious timing – I finally committed and put my order in for a 2019 hobonichi and then clicked over to your blog – planner review time! I did consider the Passion Planner and the Panda Planner (a possible 2 for review?) but decided to stick to the same set up as I had this year. Which is surprising as a few months in I had regrets (“I should have stuck to the cousin size – the original is too small!”) but something clicked recently and it”s working well for me. I looked through some old Cousins and realised how much blank space I left. Plus I realised that i wanted space for more “to dos” and I really need to learn to set more manageable daily goals so the limitation is actually a good reminder to be realistic. 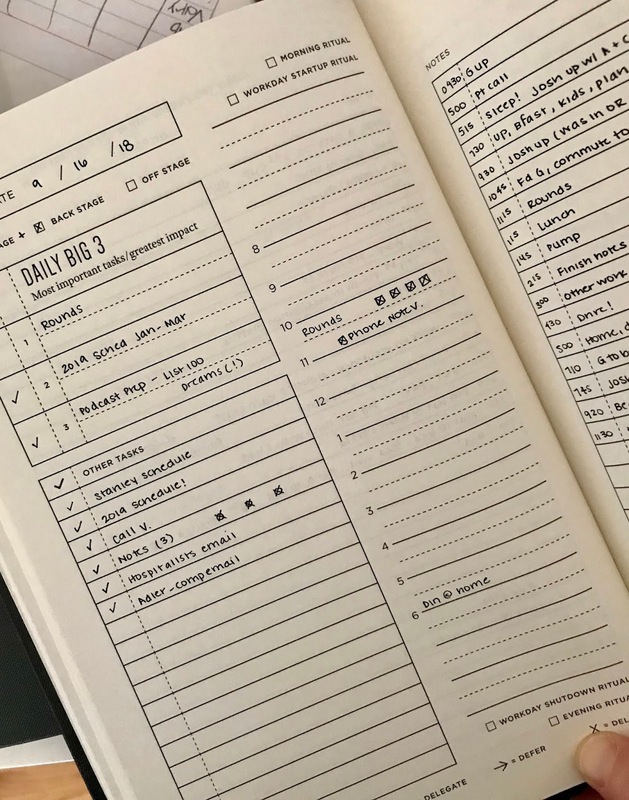 I love the flexibility of the hobonichi – I can pick my own review questions and write them in if needed! I have the avec version and tuck a few mini notebooks into the cover to store lists and ideal routines etc. I also have the weekly diary which fits into my (seriously oversized) wallet so I can have my schedule to hand without lugging the full book around. I would love to hear some tips on how you managed to stick to time tracking, and also how you manage an electronic work diary along with a paper planner. I really like this one from Upstudio: https://www.upstudionc.com/collections/all/produc… It’s super reasonable in terms of price ($40). 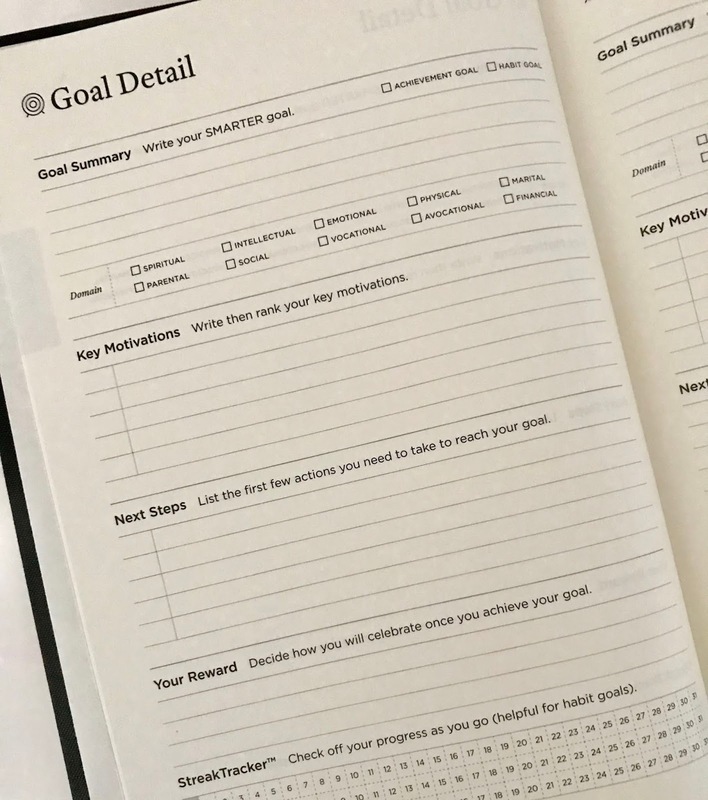 It has pages for goal planning, space each week for goal tracking, small to do lists. Thank you for writing this series! I was recently looking at the Full Focus but I am pretty happy with my Hobonichi Cousin (Avec)…which I learned about from you! I agree with what you said how it would be good to use the Full Focus to pull out of a slump. I think Michael Hyatt has some great resources but they don’t necessarily have to be purchased in this journal form. I jotted down my workday startup and shutdown rituals in a notebook. I made an excel spreadsheet of my ideal week. And now I’ve been writing "Big 3" and "Other Tasks" in my Hobonichi daily pages. All this "focus" has helped me be more intentional with my time but I didn’t necessarily need to run out and get a new planner. That might be a no-brainer but thought I’d comment in case it’s helpful to others. Hi Sarah! Avid podcast listener, first-time commenter and fellow planner nerd. 🙂 Since you asked if anyone has tried the FFP, I just wanted to pop in to say that I have been using it for over a year now, and I love it. It”s the first planner that I”ve stuck with for an entire year and then some. 🙂 I love that it has a place for my goals and weekly/daily routines. I also love the weekly reflection. 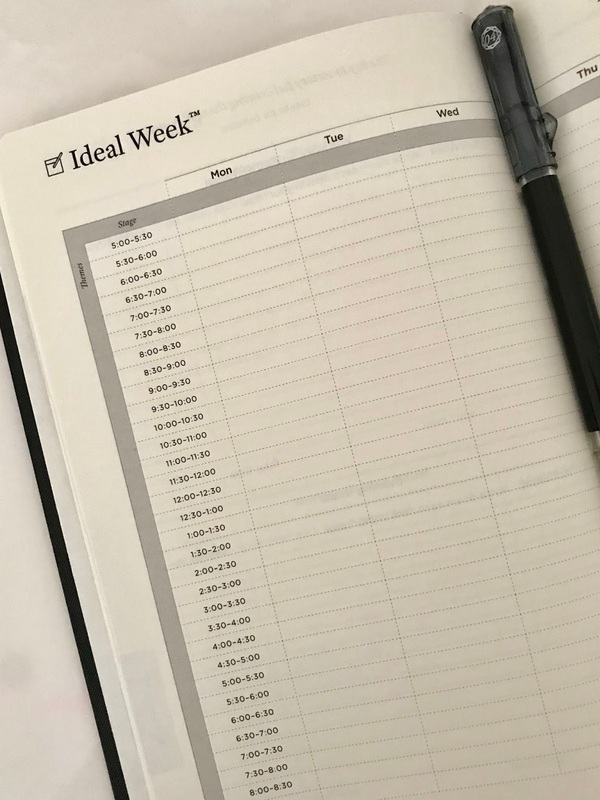 In terms of day-to-day use, I use the planner as my main calendar, but use a hybrid system for tasks (I have a digital project list and task list – kept separate a la David Allen.) When I plan each day, I first do time-blocking to see how much time I really will have to work on tasks. Then I pull the tasks for the day from my digital system and write them in the planner. I do not look at my digital system for tasks throughout the day. I find that I am much more focused and productive and I am making progress on my goals, which used to get forgotten or pushed aside in favor of the urgent. It is not unusual for me to finish all the tasks that I have set out for the day, and then to stop and enjoy a well-deserved break! 🙂 Sometimes, based on the day”s schedule, all the tasks I have time for are the Daily Big 3 (or even just a Daily Big 1 or 2). It feels good to know that I am making realistic choices about what I can do with the time that I have instead of being disappointed that I couldn”t do more. I use the Notes page for all kinds of stuff: brainstorming, ideas for future tasks or projects, tracking weights I used for my workout, quotes I read or hear, etc.) Just to clarify about tasks – most of the stuff I do for my job, I don”t need to list out as a task. That stuff goes in the timeblocking section on the right side of the left page. Hope this makes sense!! LOVE hearing that you love it and exactly how you use it!!! I love your system. What does it say right above the "Daily Big 3" in the old version? I see back stage, off stage, and…something else? What do those mean? Just this week I started using that "Top 3"idea in my Erin Condren planner. I use the first vertical block to write down my Top 3 work and Top 3 personal items for each day.